Time flies when having fun! That certainly goes for Urwerk, who celebrates this year its 20th anniversary and does so with the UR-T8 which they launched at the SIHH. The brand has come a long way in those twenty years, creating watches like the UR-103, UR-1001 and the EMC Time-Hunter. A signature feature of many of them are of course the three cone shaped discs indicating both the hour as well as the minutes, brought together by a stroke of genius. Of course, this complication is also present in the UR-T8, because what would a 20th-anniversary piece be without it? Like many other Urwerk’s is also the UR-T8 a bold watch. 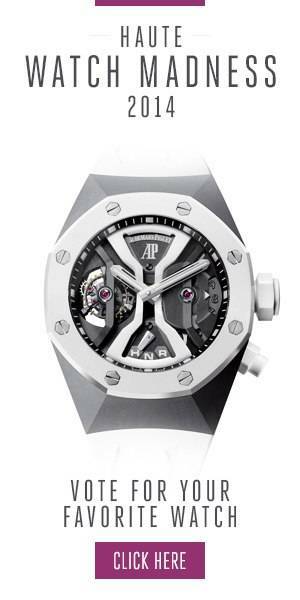 It is a large watch, measuring 60.23mm x 48.35mm, and being 20.02mm thick. The fact the watch is wider than taller and crafted from grade 5 titanium greatly helps to make it comfortable on the wrist. It will however always be a statement piece, as the UR-T8 features larger, rougher looking decorations as we already known from the UR-105 T-Rex. It gives the watch a Jurassic edge. Unique about the UR-T8 is that you can swivel the case around, much in the same fashion as the Jaeger-LeCoultre Reverso. When swirled around the watch shows a different side of Urwerk that we don’t see that often. There are no functions on the back as one might expect, and here the watch shows off its philosophical side, that of becoming a timeless object. When you look carefully at the top left corner, you can see the turbine which is part of the movement, staring at you through the PVD coated titanium shield. When flipping the watch back to the dial side, which is done by pushing two buttons that secure the case, you can also see that Urwerk skeletonized the cone shaped discs. This allows you to view part of the complex system of gears that is needed the line-up the right hour at the right time. While anniversary watches like the UR-T8 are part reminiscent of the past of the brand, they also hold a promise for the future, and we cannot wait to see what the brand will achieve in the next 20 years!